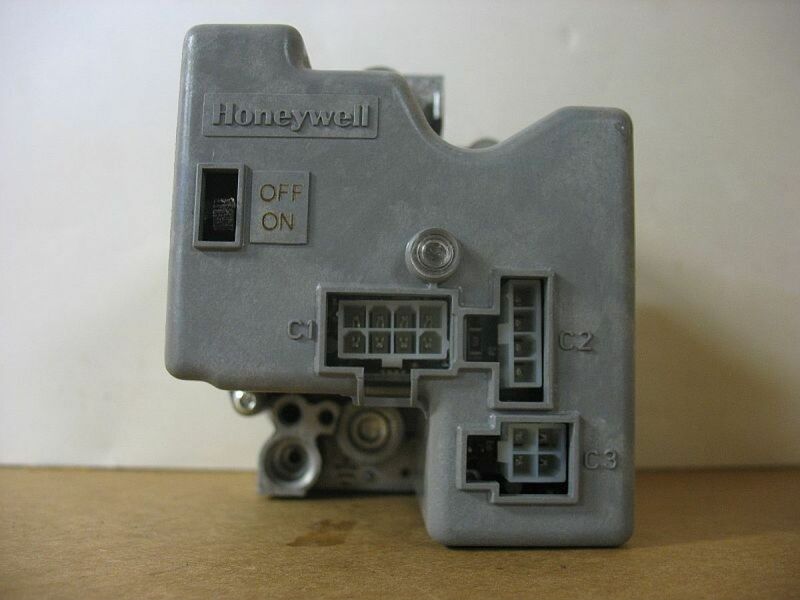 I had been thinking about doing an email on the Honeywell Smart Valves for a long time now. And since I recently had a discussion with a fellow service technician about his trouble diagnosing one, it made me think of the 2 most common issues I experienced with those valves. So, today is the day. While there is nothing simple about a Smart Valve, it’s not complicated. Honeywell designed this valve to be a universal valve. The valve has a circuit board that can control a pilot valve, it energizes an HSI, it has flame rectification, it energizes the main valve, it does it’s own diagnostics, and can be used to energize another 24 or 120v circuit. And some models don’t even use a pilot burner to light the main burners. In essence, the manufacturer doesn’t need an S8610U / S8910U ignition control board nor a few other controls to do what they want to do. This valve is used in many heating applications like forced air, boiler, domestic water, and oil. Some manufacturers run their limit circuit and / or a pressure switch circuit through it. Others energize their inducer motor, and still others energize a simple Electronic Fan Timer Board to control an ‘on/off’ fan cycle. The different manufacturers that use the Smart Valve don’t always use the same color wiring and they designate some terminals differently. The 4 pin plug on the SV9520 series valve is dedicated to 120v usage, but on the 9501 series it’s used for 24v communication. That means this will not be an exhaustive email about Smart Valves as there is lots to learn so you will have to read the wiring diagram on your specific unit to know which terminals do what. Now, there are a couple models of Smart Valves. The SV9400, the SV9500, and the 9600 series cover single and 2 stage, slow and fast opening applications. The BTU rating on the 9400 series is the lowest and the 9600 is the highest with 3/4″ inlet and outlets. This is a picture of a SV9501 Smart Valve. As you can see it has 2 jack plugs. Both of these plus are used in all the Smart Valve models. The flat plug with 4 terminals is for the HSI and Flame Sensor. It only uses 3 terminals. 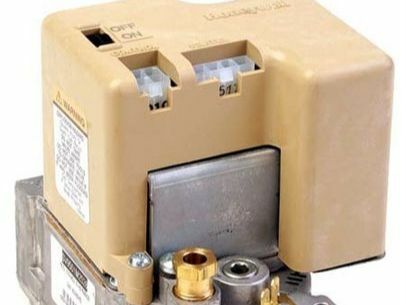 The square plug is used to power the valve, provide a common/neutral, receive a call for heat, and perhaps communicate that same call for heat with another circuit. This is a picture of the SV9520 Smart Valve. You can see the universal flat 4 pin and the square 4 pin plugs. Additionally, there’s an 8 pin plug that can be used to control or identify a number of other circuits within the units sequence of operation. As you can see from this diagram, the Smart Valve is responsible for taking care of the entire sequence of operation which includes controlling the 120v Induced draft motor, monitor all the limit switches, the pressure switches, and communicate with the EFT. This also means that the circuit board in this Smart Valve will likely give you more accurate diagnostics because of the several separated circuits. A. If the ignitor does not glow I would test for resistance with my meter. If it’s less than 10 ohms at room temperature, it’s good. Be sure to run the equipment through a cycle and see if the ignitor gets power. No power to the ignitor, be sure all other safety circuits are good before you replace the valve. B. You cannot test for a micro-amp flame signal with this unit unless you have a special harness from Honeywell, but you can test for voltage to the flame rod. You should measure at least 130mv from the black lead on the flat 4 pin jack plug to ground on the valve. C. If there is a pilot valve in the system, be aware that the pilot valve and the ignitor come on at the same time. D. Be sure to check your primary and secondary power sources. Some valves or systems require a 50va transformer to power the controls. E. In some cases, the LED light on the valve only energizes on a call for heat. F. In some cases the EFT only gets it’s signal after the main valve is energized, not before. G. For the SV9500 and SV9600 valves, the HSI is on throughout the flame rectification of the pilot flame and only de-energizes after the main valve is energized. H. For SV9501 / SV9502 / SV9601 / SV9602, a call for heat generates a 90-second trial for pilot ignition. Ignitor de-energizes after flame is sensed at the pilot. If no pilot flame is sensed, it retries after a five minute delay. The HSI cycles off and back on once during the trial for pilot ignition. 1. Do they belong in furnaces? Though there is a board built into the valve, and it does take care of a few things, it does not have a place for a 24v terminal strip along with a number of other items, including the fact that it does not directly energize a circulating fan. So, the manufacturer still has to provide a control board for a few things. 2. Do they last as long as regular gas valves? Well, I’m not sure if my answer will come back to haunt me. But the next time you run into a valve that doesn’t energize the pilot valve and HSI, try wiggling the square 4 pin plug.